This depends largely on the type of driving you do around Fayetteville! If you use your brakes often, like most city or urban drivers, you’ll need car brake service more often than someone who does most of their driving on an interstate in Georgia. The parts that make up your vehicle’s brake system (like brake pads, rotors, caliper, and brake fluid) wear down over time and will eventually need to be replaced. One of the most common auto brake repairs we perform at Toyota of Newnan is the replacement of brake pads (or shoes). ReGArdless of what they are made of (ceramic or metallic), brake pads wear down each time you step on the brake pedal – that’s how they work to stop your Toyota vehicle! If you allow your car brake pads in Carrollton to wear down too much without replacing them, the metal that holds the pads will make contact with the brake’s metal rotors (or drums). This not only makes your brakes less effective (and less safe! ), but also increases the wear and tear on your brake rotors/drums, meaning they will need to be replaced as well! These are common signs but not the only ones that suggest you should bring your Toyota car or truck into Toyota of Newnan to have your car examined and possibly have your car brakes replaced. Any other sights, sounds, or sensations in you car brakes that seem out of the ordinary, or you haven’t noticed before also indicate you should bring your car into our Newnan service department. Remember, auto brakes continually wear themselves down, so if you think you have a problem with the brakes on your Newnan car, it will not get better if left alone. Typically, brake repair costs less than car brake replacement. Brakes are the primary safety system on every car and truck, so don’t take any chances! Your brakes are one of the most important parts of your car to stay safe. It can be hard to know when you need new brakes, but that’s why Toyota of Newnan is here! With our helpful brake guide, we can help you determine when it’s time for new brakes, and then help you get them. If you think it may be time to fix your brakes, bring your vehicle into the service center at Toyota of Newnan as soon as possible. We work hard to fit into your schedule, that’s why we let you schedule a Toyota service appointment online! 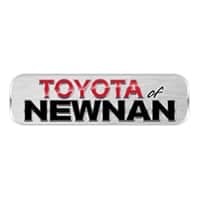 To ensure you’re never spending more money than you need to on service, check out our specials on Toyota service near Atlanta, GA. We’re looking forward to working with you soon so contact Toyota of Newnan today!